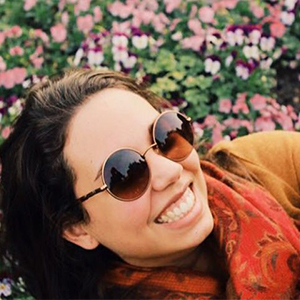 Passionate about local culture, Luisa sees Brazilian music as a reference and an ally. She is a Public Relations professional by graduation, a percussionist in her free time and defender of human rights by passion. Unhappy with inequalities in this huge and diverse world, she believes that through sharing distinct and unique stories of people it is possible to capture and remind each one of us of the most human and welcoming spirit common to us. With a specialization in Human Rights Luisa is looking to create change for the next generations. She believes that sharing experiences is the beginning of a changemaking spirit. And she is ready to share!